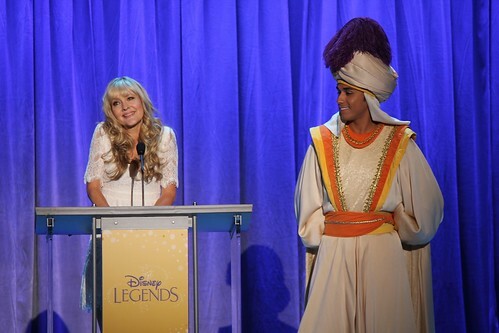 The 2011 Disney Legends ceremony took place as the first major Arena presentation of the 2011 D23 Expo. Honorees included Regis Philbin, Guy Williams, Jack and Bonita Wrather, Ray Watson, and Bo Boyd. But it was the line-up of voices of Disney Princesses and a tribute to Jim Henson that stole the show, entertaining an audience of fans with familiar songs. To start the show, after all of the honored Disney Princess voices, Linda Larkin, speaking voice of Jasmine from “Aladdin,” introduced four singing Princess voices to each perform songs from their films. Paige O’Hara sang as Belle, Lea Salonga sang as Mulan, Anika Noni Rose sang as Tiana, and Jodi Benson sang as Ariel. The four sounded just as they did when recording their classic songs for classic animated Disney films. And after they each sang, they joined together on stage for one final performance together. 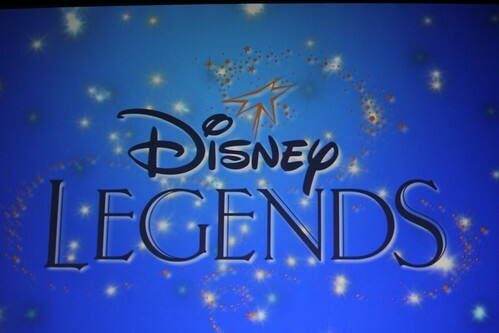 Watch all these newly-inducted Disney Legends perform in the video series below. In the middle of the ceremony, the other honorees accepted their awards with humble speeches, sometimes with relatives accepting on their behalves. 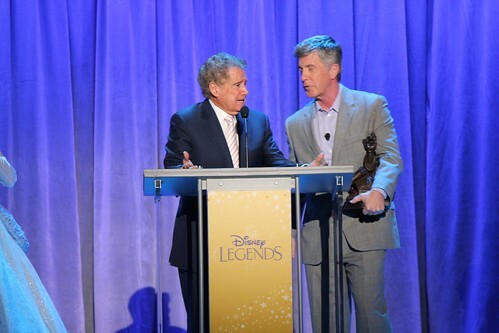 Regis Philbin offered his trademark energy and comedy alongside ceremony host Tom Bergeron. But it was the finale of the show that captured everyone’s hearts, as Jim Henson was honored with two Muppet performances. The first was a live puppeteering of an old routine Jim and his wife Jane called “I’ve Grown Accustomed to Your Face”, performed by Jim’s son Brian Henson. Following his speech, Kermit the Frog and Rowlf appeared on stage and sang “Rainbow Connection,” a classic Muppet song. Watch both Muppetational performances in the videos below. What used to be a private ceremony has become very public since 2009’s D23 Expo and the audience in attendance at today’s first Arena presentation was thankful for having the chance to see these incredible performances. Thank You Ricky for sharing this, do you have the speeches of the princesses? i’d love to see those videos! I do and I’ll share them soon. Kermit and Rowlf singing “Rainbow Connection” bought a tear to my eye. That is one of my all time favourite songs from my childhood. Thanks for sharing Ricky you made my day! extremely large for me. I am looking forward to your subsequent submit, I’ll try to get the hang of it!